In maths this week our focus was symmetry. 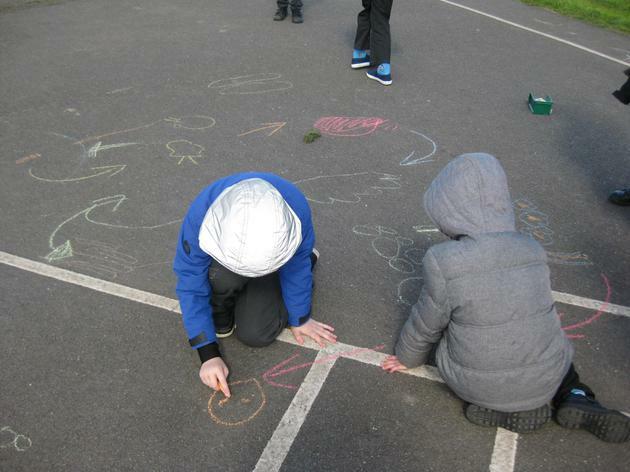 We made some lovely symmetrical art outside on the yard. We also created symmetrical patterns and symmetrical monsters to scare the seagulls away from Mr Grinling's lunch! We finished off with a problem solving activity where we had to see how many different symmetrical patterns we could make with a limited number of colours. In language lessons we completed our seagull stories and our Grace Darling newspaper reports. The children have worked very hard on both pieces of writing. Da iawn pawb! In Welsh we recapped the vocabulary for different types of clothes. We then drew pictures of Mr Grinling dressed for different weather conditions and then added Welsh labels. In topic we learned about electric circuits. We worked outside to create a human circuit to light Ankush the lightbulb! 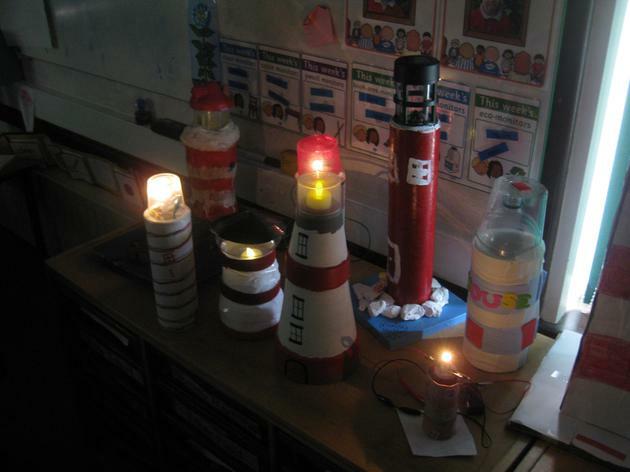 When we moved back inside we used the resources to create real circuits to light lightbulbs for our lighthouses. The lighthouses looked fantastic when they were all lit up. Thank you to all the parents and grandparents that have helped with the homework projects this half term. They really were fantastic! In RE we continued learning about weddings and this week we focussed on the Christian wedding ceremony. We learned about the different people that are involved in a wedding and found out what their special jobs are. 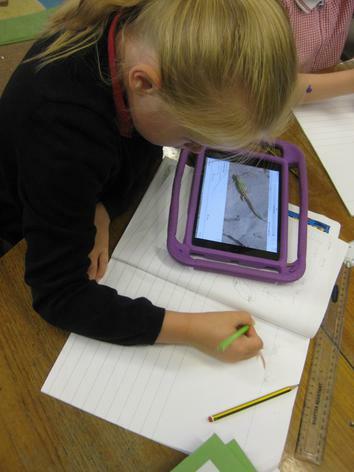 In preparation for our class trip to Talacre, we researched sand lizards (as these can be found in the sand dunes at Talacre!) We watched a clip of Springwatch and used Goggle to answer the questions that we had. We found out lots of interesting facts! 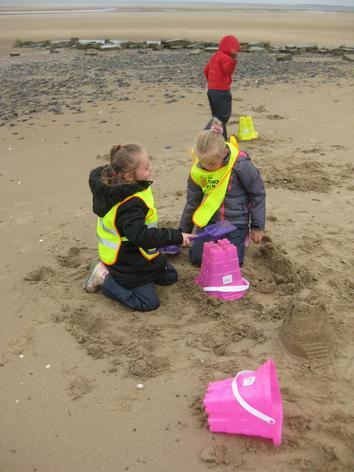 We also looked at beach safety to make sure that we would have a nice, safe trip to the beach. The children really listened well and they all behaved beautifully whilst at Talacre. In maths this week our focus was groups of/multiplication and shared by/division. 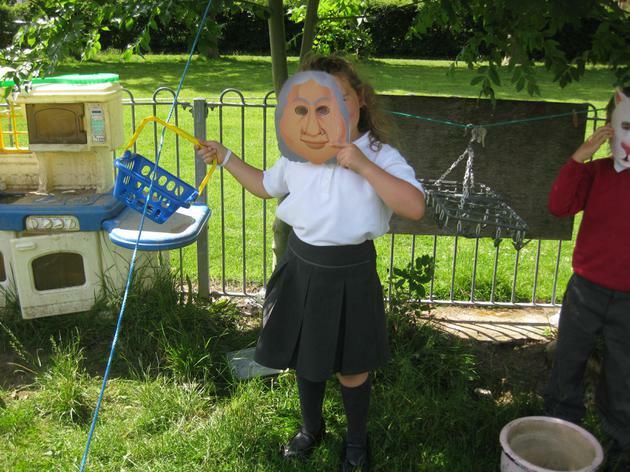 We did lots of practical activities to help the children to visualise the problems and they did very well. By Friday we moved on to a numerical reasoning activity where we had to solve 2 step problems to work out missing numbers. We had to work with a partner and discuss our ideas. In PE the Year 1's carried on with Cosmic Kids Yoga (Harry Potter themed this week!) and Year 2 went swimming. In phonics we revisited the ph sound. Other than all of the above, we had lots of jobs to continue from last week. We carried on with our Naughty Seagull stories and our Grace Darling news reports. This week we have been learning about Grace Darling. We found out that she lived a lighthouse a long time ago, and that she is remembered for saving the survivors of a ship wreck in the middle of a storm. We draw 'story maps' that showed her story in sequence. We also looked at the features of a newspaper report in preparation for writing our own about Grace Darling. We planned the information that we would need to include. 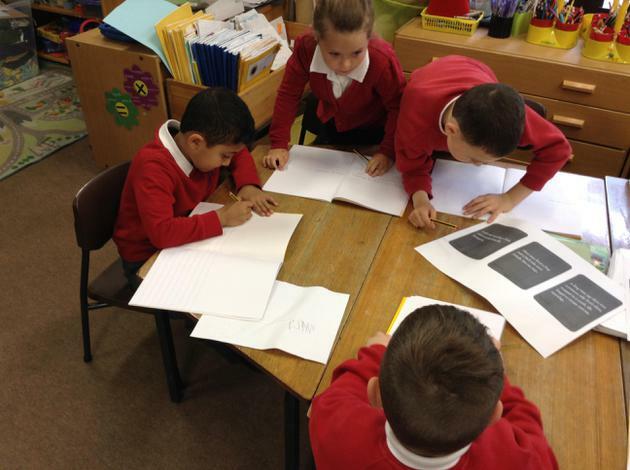 In our literacy lessons we continued planning for our seagull stories and even started to write the opening section. We also created posters, on j2e, to show others how to stay safe in the sun. In phonics we revised the different spellings of the er sound (er/ir/ur). Our maths focus for the week was subtraction. 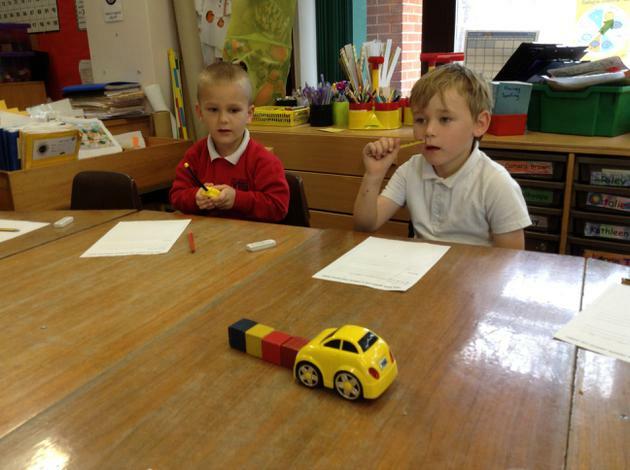 We practised different strategies to 'find the difference'. At the end of the week we used what we had learned to solve a problem linked to decorating the cottages in Mr and Mrs Grinling's village. This week was Money Week and we learned all about what a budget is. 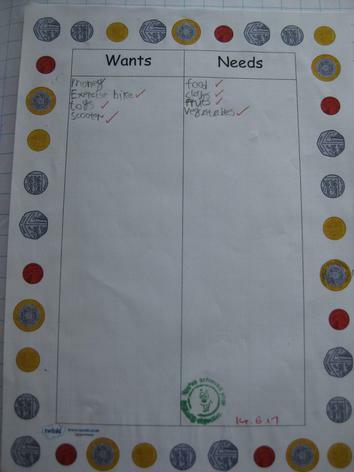 First of all we discussed 'wants and needs'. The children had some very interesting ideas on what we need to survive - including Sky TV! Following on from that we helped Mrs Grinling with a problem with her shopping list. We had to help her to stay within her budget but get the things that she really needs from her list. Finally on Friday we talked about where adults get money from and which different jobs we might like to do when we grow up. Alongside money week, we also carried on with our topic work linked to 'The Lighthouse Keeper's Lunch'. We really enjoyed working outside acting out the story and discussing how the various characters might feel at different points of the story. We also created storyboards telling the story from the seagulls point of view. On Monday and Tuesday afternoon we focused on healthy, balanced diets. We sorted healthy and unhealthy foods, and designed a healthy meal for Mr Grinling. 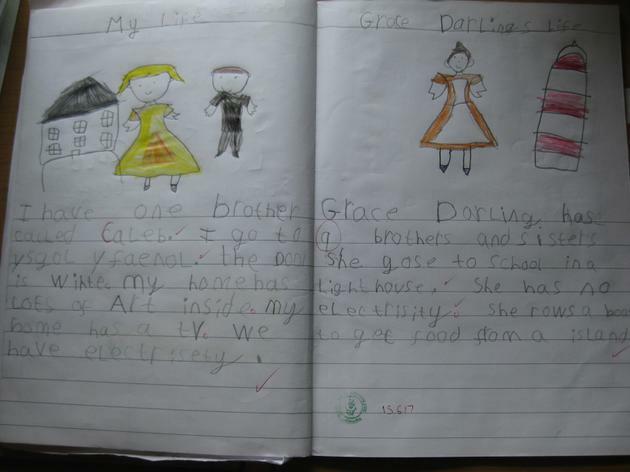 Towards the end of the week we looked at a famous lady called Grace Darling. We learned about her day to day life and compared it to our own. We were very shocked when we found out that she didn't have a computer or a phone! 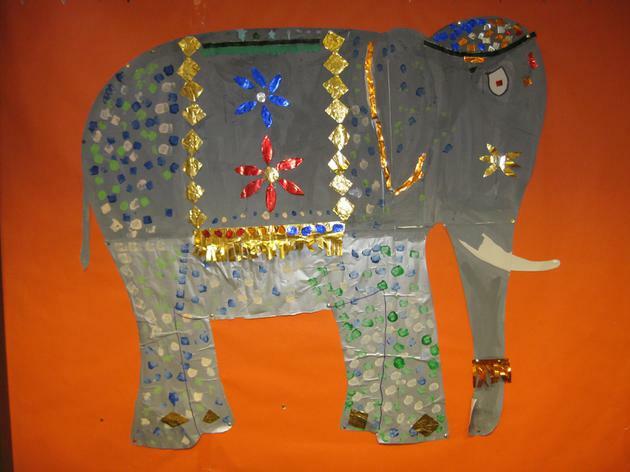 Finally, during RE this week we worked together to create a large elephant painting showing an elephant decorated for a Hindu wedding ceremony. We will be using 'The Lighthouse Keeper's Lunch' as our talk for writing text, so we have added actions and drawn a class story map to help us remember the story. We have been practising to use better expression to make our storytelling more exciting! We also looked closely at some of the new words that are in the story and put them into our own sentences. 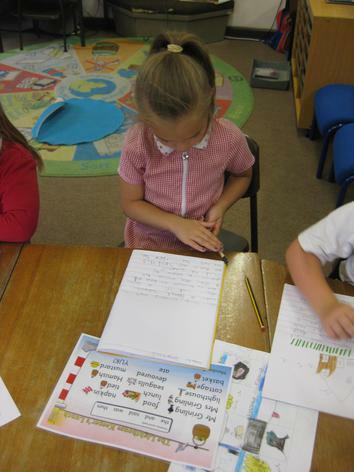 This half term I would like the children to learn how to write their own stories, so on Tuesday we had a go at story writing without any support. Everyone did really well and I'm sure that by the summer holidays we will have some fabulous stories to share. In maths this week we have been looking at using addition, subtraction, multiplication and division. On Tuesday we played a game where we had to match calculation cards to number cards and on Wednesday we had a go creating our own games! On Thursday and Friday we concentrated on addition and completed an assessment activity so that we can focus on filling gaps next week. In the afternoons we have started to look at Christian and Hindu wedding ceremonies for RE. 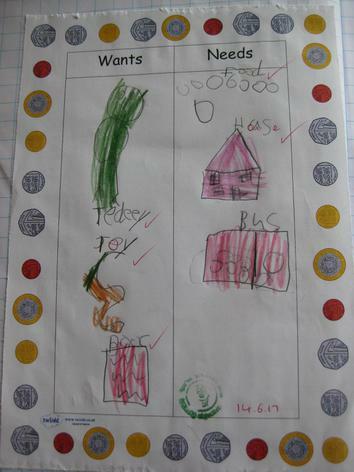 The children recorded what they already knew about weddings and then discussed Hindu weddings in more detail as a class. We also watched a video clip of a ceremony. This week we also carried out an investigation using the remote control cars as the children wanted to know how much weight they could push. We made predictions and recorded our results. We finished our week by creating bunting to decorate our new role play area. We've had another busy week in Dosbarth Moel Siabod! We've continued with our food topic by finding out where our food comes from. We discussed different foods and sorted them in to plants or animals. 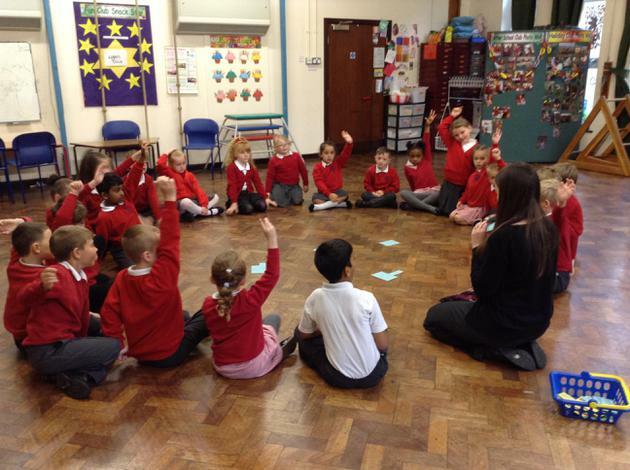 The children had some very interesting ideas and we had to address some misconceptions! Once we had sorted the foods we had to record them in a table. 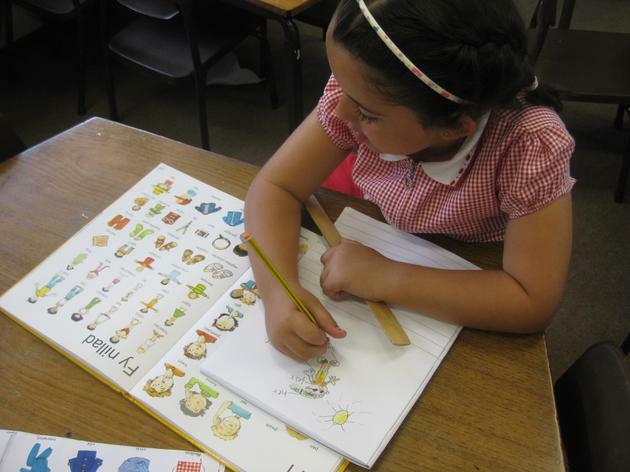 Some children were not sure how to spell the words correctly, so we learned how to use a dictionary. We continued to use 'Cloudy with a Chance of Meatballs'. We decided to write our own versions of the story and we started with the story opener. We looked at two different stories and discussed what we liked about them. In maths we started the week by going on a right angle hunt around the outdoor area. On Tuesday we moved on to addition and subtraction. 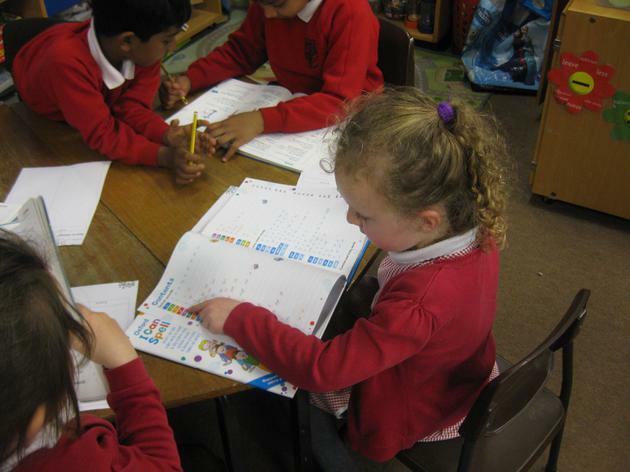 We revised strategies that we had previously learnt and practised anything thing that we found tricky. On Friday we completed a problem solving activity where we had to find all the possible combinations of three ice cream flavours in a cone. 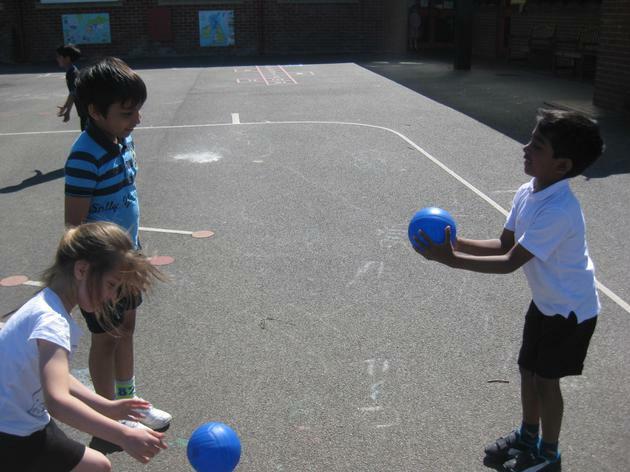 In PE we continued to listen to instructions to play simple games, and we also practised catching and throwing with a partner. We finished the week by having a competition to design the name and logo for our newsroom role play area! The winner will be announced next week! 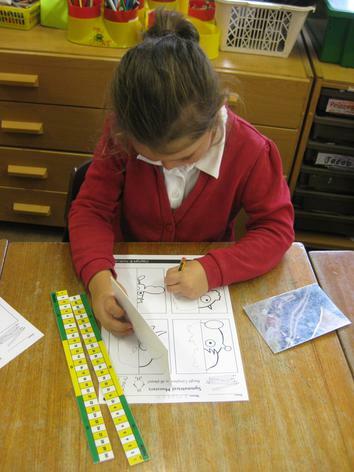 Year 2 have also been trying very hard with their national tests. Well done Year 2! 2 down, 1 to go! Welcome back to school after the Easter break! We've been very busy this week planning for our new topic - 'Fantastic Food'. This topic will run right up until the Summer holidays. For this half term we are focussing on a book called 'Cloudy with a Chance of Meatballs'. This week we have started the topic by creating weather reports for the town and its crazy weather! We had lots of fun discussing what different types of food we would like to fall from the sky! We have also started to learn a poem called 'I Like Sizzling Sausages'. We are going to be performing the poem in service, so we have added actions and drawn poem maps to help us remember all of the details. In maths our focus for the week has been directions. We have been using the words full, half and quarter turn, and clockwise/anti clockwise. 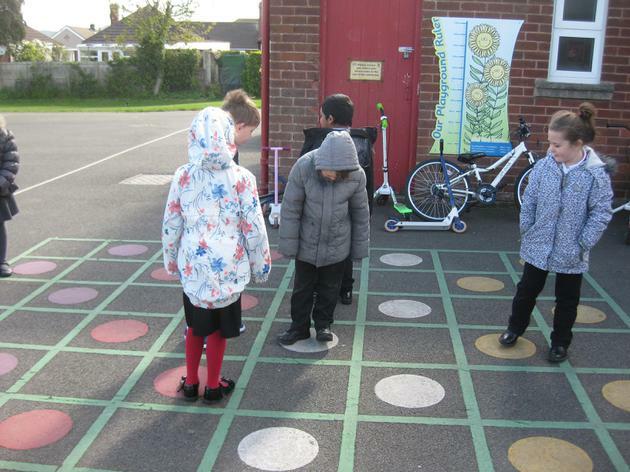 We had lots of fun outside pretending to be robots and following directions from our friends. We also had a go at programming the beebot to move around a map of a town. In Welsh we learnt the names of some different foods, and use the new words in lots of different games. In PE we played a game called cats and mice. The year 2's have also been busy practising for the national tests, so that they know what the papers look like and how to answer the different question styles. They have all worked really hard and deserve a well earned rest this long weekend!